What does Brenda use when she needs to pop down the shops? 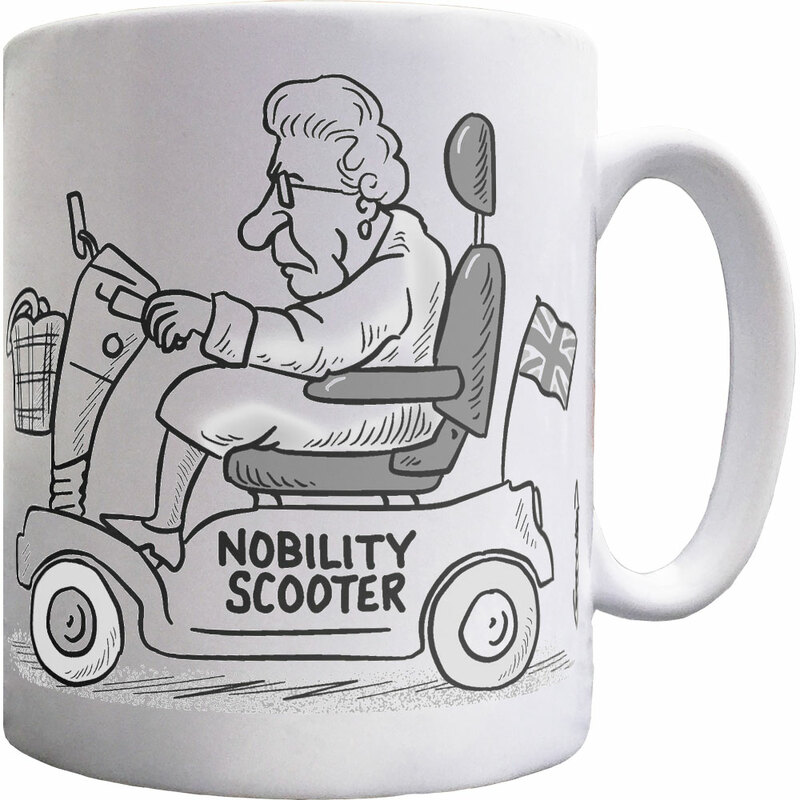 Why a nobility scooter of course: fit for a queen. 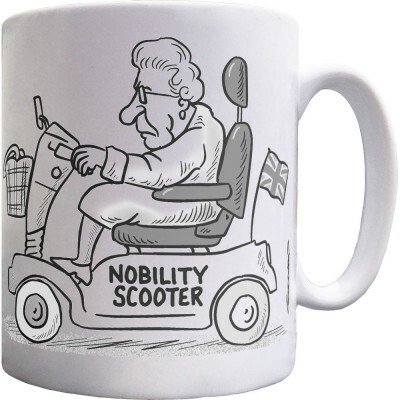 A mug featuring a cartoon by renowned cartoonist Clive Goddard.